Hailing from tropical Far North Queensland, Narelle and Donna are by far our most intrepid educators! With support from rural airliner Rex, our Cairns team’s jurisdiction extends from outback rural mining towns to remote tropical Islands in the Torres Straits. From Rockhampton to Sabai Island, and Mount Isa to Palm Island, the schools they visit differ vastly. “The smallest school we visit only has 6 students in total; the largest we visit has 550 students from prep-year 3,” said the team. 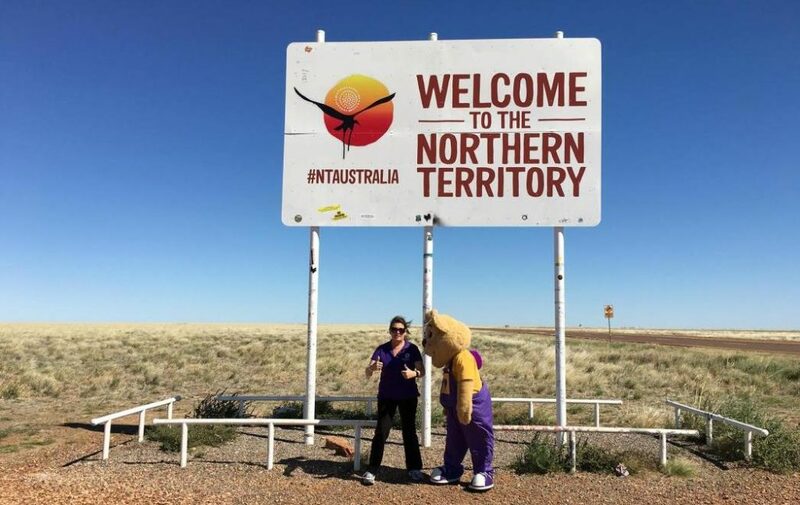 Narelle says the most rewarding aspect of the role is travelling to remote Indigenous communities to reach kids who are extremely isolated, and therefore really benefit from the show. Donna says her most rewarding aspect is knowing she is making a difference in the lives of children. As for the most challenging aspects of delivering an educational show in the top end? Dealing with the extreme heat, says Narelle.